A well-designed conservatory is a fantastic way to increase your living space and we can guide you through an extensive choice of styles and configurations to make your vision become a reality. Let us help you create a beautiful garden room, a relaxation area, or a spacious dining area for entertaining. A ‘glazed extension’ can add so much pleasure and extra value to your home. Our modern conservatories meet the highest structural criteria and are thermally efficient built for year-round use with excellent insulation for warmth and comfort in winter. We can also advise on features which help keep it cool for use on even the hottest days. 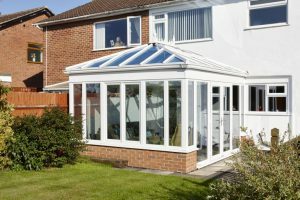 Easy movement between your current space and a new conservatory is an important consideration so you can fully enjoy the benefits it has to offer. 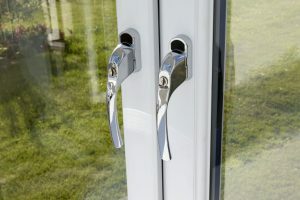 We can advise you and help you decide whether open access, a simple doorway, sliding or bifold doors will be in keeping with your property and lifestyle. For some properties a conservatory would be a stunning addition with a flat roof and glazed lantern or you may favour an L-shaped structure. There are many choices when it comes to window and door styles. We can incorporate patio, French, or bifold doors to your precise specifications. Victorian and Georgian styles of conservatory are a good choice for both modern and traditional homes and these have a comfortable familiar appeal. High performance uPVC frames and quality double glazing provide excellent insulation with minimal maintenance and easy cleaning. Contemporary conservatories can be a striking and stylish addition to both newer and older buildings. Ultra-modern structures in aluminium are often in the lean-to style and offer superlative performance. We have many satisfied owners of our conservatories across Hitchin, Milton Keynes, Luton and the surrounding regions.